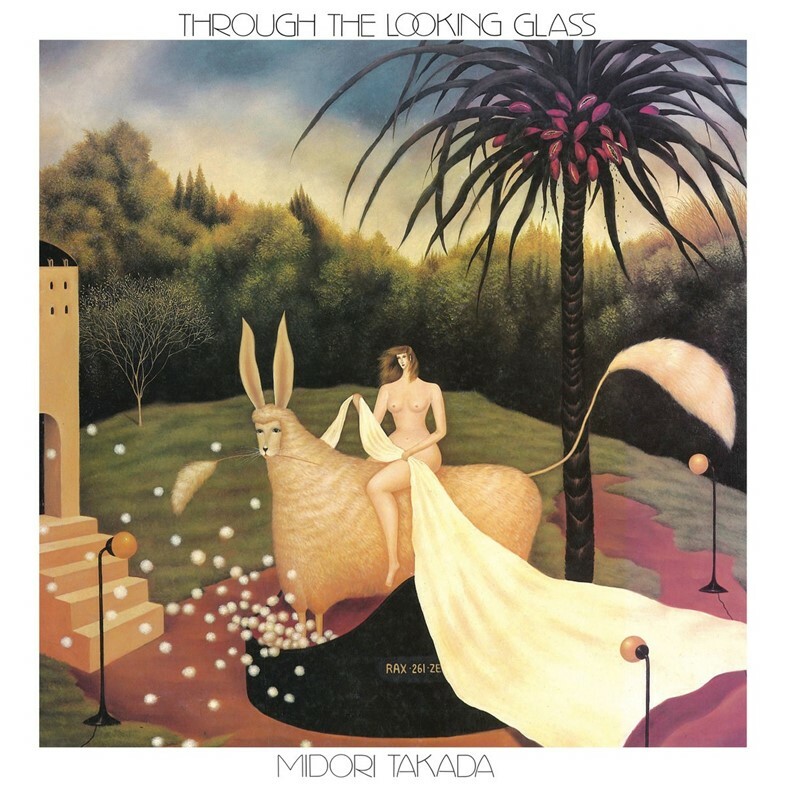 In an alternate timeline, Japanese composer and percussionist Midori Takada’s 1983 debut solo album Through The Looking Glass was greeted with rapturous praise. Critics who had already marvelled at Takada’s percussion group Mkwaju Ensemble marvelled again at the evocative, atmospheric textures and intertwined rhythmic structures depicted within her singular musical vision. Anointed as a logical successor to Terry Riley, John Cage, and Brian Eno, her work served as a corrective to the male-dominated hierarchy that defined the early development of minimalism and ambient music. Beyond this redress, her seamless integration of traditional African and Asian music into the forms disrupted the Western bias of these pivotal musical movements. In reality, the album sank without a trace. However, in the years that followed, Through The Looking Glass began to find a small but ever-growing audience, and with time it came to be considered one of the rarest artefacts of early 1980s Japanese music. Copies sold online for up to $750. With every purchase, discovery and listen – be it crackly vinyl or dubbed tape – the myth and legend grew. Eventually in early 2013, musician and blogger Jackamo Brown uploaded the full album on his YouTube channel, where it benefited from a peculiar aspect of the video-sharing platform’s functionality. When left to idle, YouTube’s ‘play next’ algorithm automatically selects and plays a new video. Although the inner workings of the algorithm are a closely guarded secret, its internal processes began to prioritise Through The Looking Glass as a recommendation for YouTube users with an interest in minimalism and unconventional electronica. Much like proto-vaporwave groups Seaside Lovers and Software’s 1983 and 1987 albums Memories in Beach House and Digital Dance, the record accumulated a new following online – since Jackamo Brown uploaded it, Through The Looking Glass has clocked up over one and half a million views on YouTube, remarkable numbers for a forgotten record from the fringes of an already fringe scene. Born in Tokyo in 1951, Takada’s journey into illusion began in the 1970s, a decade where the post-WWII economic growth and restoration of the 1950s and 1960s gave way to a new focus on quality of life in Japan. As the Vietnam War ended, the Japanese youth of the era took their cues from American hippy culture. They strived for a freer society and an escape from the conservative values of the past. Takada was part of this generation. Like many, she was captivated by the playful pop psychedelia of The Beatles. From that starting point, she discovered progressive rock and free jazz, before journeying deeper into minimalism, ambient and early experimental while studying western classical music at the Tokyo National University of The Arts.